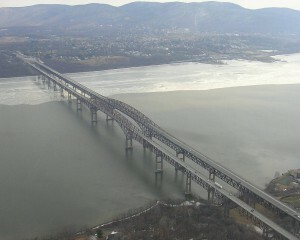 The nearly 8,000-ft long Hamilton Fish Newburgh-Beacon Bridge is the busiest of 5 toll structures owned and operated by the New York State Bridge Authority (NYSBA). 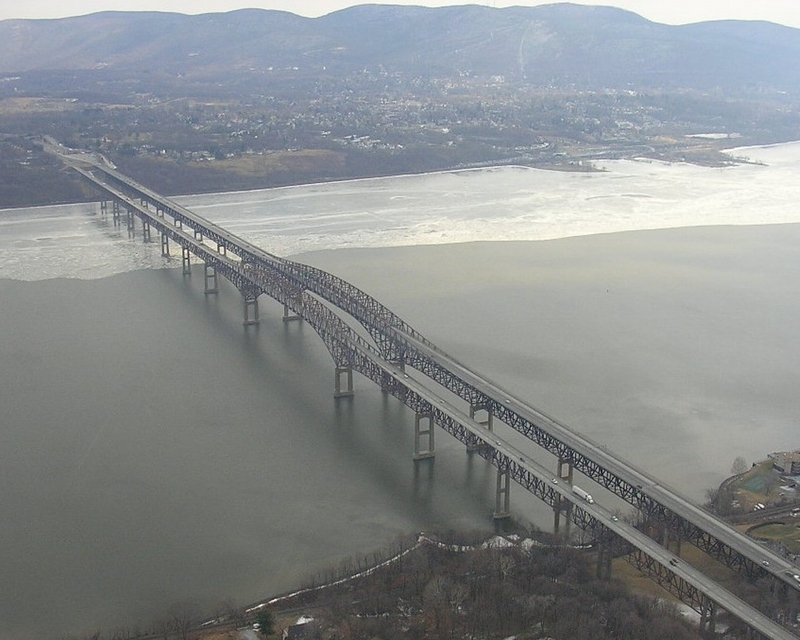 It’s comprised of parallel articulated truss spans that carry more than 25 million crossings per year on NY Route 52 / I-84 over the Hudson River between Newburgh and Beacon, NY. The original two-lane bidirectional north span was opened in 1963, but in just one year traffic volumes exceeded the capacity. To accommodate the increased traffic, a parallel south span was opened in 1980 with three vehicular lanes and shoulders on each side, and a separated sidewalk for pedestrian use. Currently each of the twin spans carries three lanes of traffic in opposite directions. Over 30 years of heavy traffic on the south span deck took its toll, and in early 2013 Kiska Construction Corp. USA was awarded a $93.5 million, 430,000 square foot deck replacement contract. 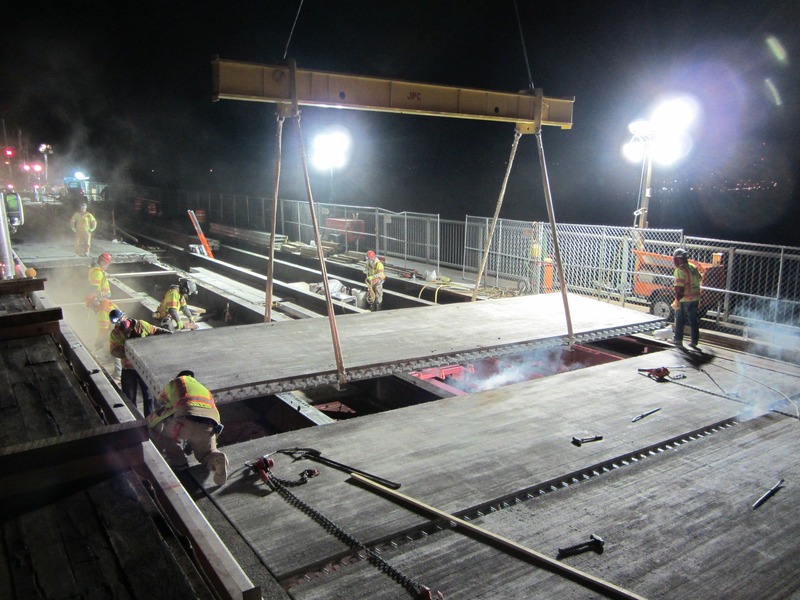 The contract required a durable new deck system and a construction sequence that minimized daily traffic disruptions to commuters, which is where custom engineered grid reinforced concrete deck panels came into play. The plan, developed by Ammann & Whitney along with input from the NYSBA, involved nighttime panelized deck replacement utilizing precast grid panels with full depth concrete. 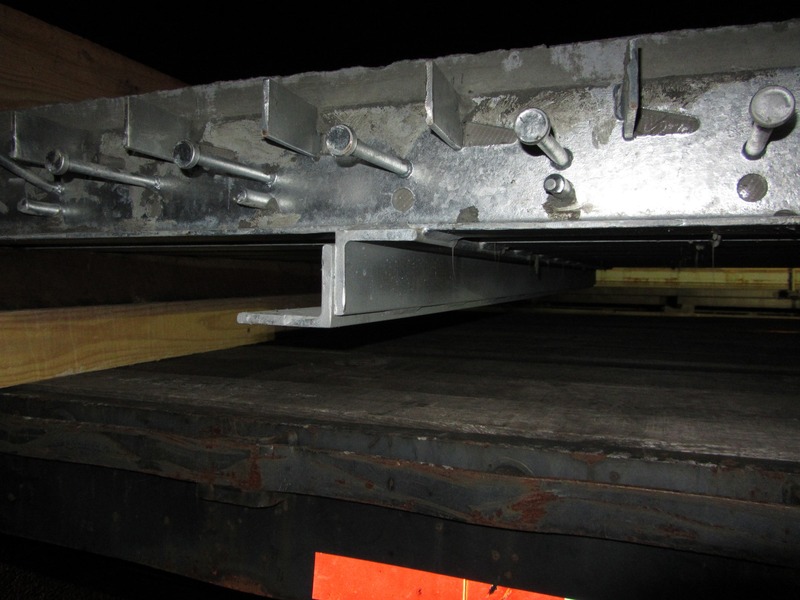 Precast grid deck systems are common when accelerated construction is needed, and are typically attached to the structure like any other precast concrete deck via headed shear studs and a concrete haunch closure pour over the supports. 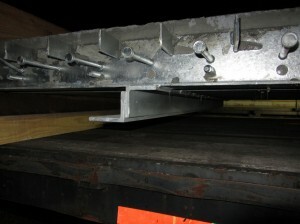 What is unique about the 1,850 grid deck panels being used on the Newburgh-Beacon Bridge is the method used to attach them to the supports below, which does not require a concrete haunch closure pour. Details for the Newburgh-Beacon Bridge utilize steel angles shop welded to the bottom of the grid main bars (see photo on left), which are then field welded to the supports by the contractor. LB Foster, a fabricating member of the BGFMA is supplying the steel grid panels to Kiska, and also played a key role working with the owner, consultant and contractor prior to fabrication to develop the required deck connection details. Attention to small detail and accurate field measurements were critical during the early stages to ensure proper fit-up during construction, as an aggressive replacement schedule allows little room for error using precisely sized precast panels and the welded angle attachment. 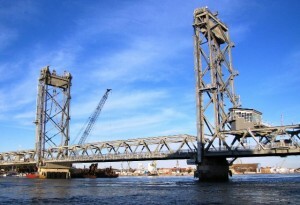 The project is currently underway and scheduled to be complete in late 2015. So far the project is moving smoothly without any glitches, and the reduction in required closure pours as a result of the unique deck connection detail has helped accelerate construction with Kiska replacing nearly 3,000 square feet of deck during each nightly closure. Another benefit to the field welded attachment method is that it will allow the owner to replace deck panels on an individual basis if they are ever damaged. This entry was posted in Primary on May 8, 2015 by Admin_RyanS. Check out the April 2015 Roads & Bridges Magazine for the BGFMA article about replacement of the Memorial Lift Bridge in Portsmouth, NH & Kittery, ME. The article specifically explains briefly how the prefabricated and lightweight grid deck system helped with design and construction. This entry was posted in Primary on May 7, 2015 by Admin_RyanS. 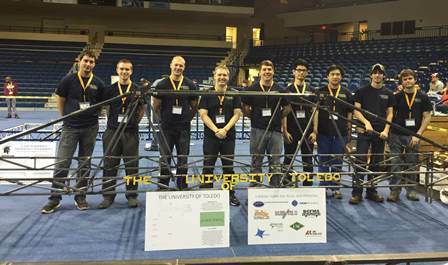 The University of Toledo ASCE group assembled a Steel Bridge Team to participate in the annual ASCE-AISC Student Steel Bridge Competition on April 10-11, 2015. This was the first time in many years that Toledo had entered a model in the steel bridge competition, so the BGFMA was proud to be a sponsor the student group. Our financial contribution helped get the team up and running and pay for materials required to fabricate their competition model. Congratulations to the UT team on their 4th place finish in the regional competition! This is a great achievement, especially considering none of the students had previous experience competing in the event!